This fictional documentary film about a Native American reservation critiques the practice of film production itself. 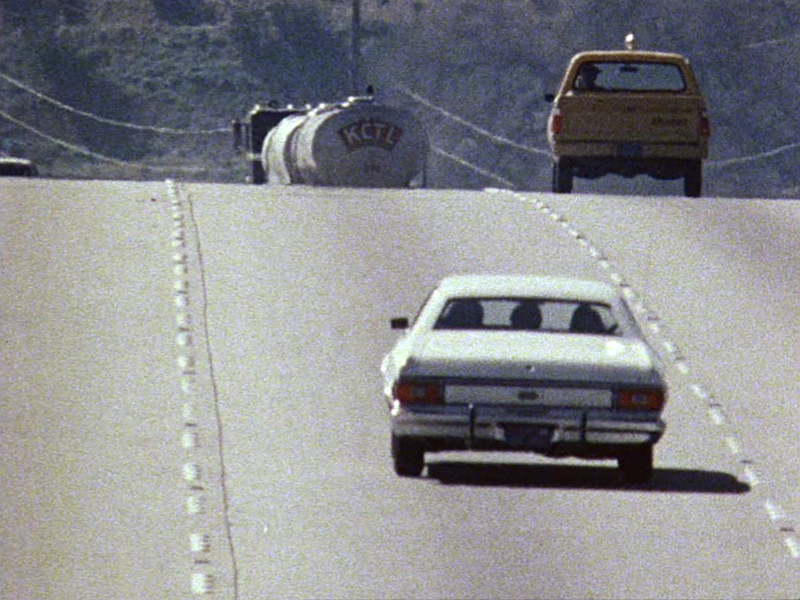 Conceived in part as a fictional documentary about a group of people recounting their experience visiting a Native American reservation, The Desert People (1974) is the first work that David Lamelas produced in Los Angeles prior to moving to the city in 1976. Described by the artist as “a study on American film production,” The Desert People shifts between genres to point to the deficiencies of narrative in documentary-style filmmaking. Part fact, part fiction, the film progresses as a typical road movie, interspersed with interviews that provide both reliable and unreliable accounts of the conditions of the Papago (Tohono O’odham) in southeastern Arizona, whose loss of indigenous culture forms the basis of Lamelas’s inquiry. This exhibition is organized by curator Aram Moshayedi with MacKenzie Stevens, curatorial assistant.